1. The quantity of labels/stickers are based on sicker size 90x54mm. 2. 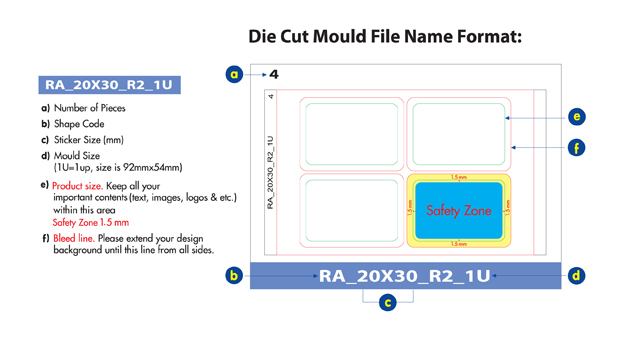 Price above inclusive of Die Cut fees and eprint standard template die cut mould cost. 4. e-print sticker size from minimum 90mm x 54mm (1 up) to maximum A3.